Dangerous tides ahead . . . When her friend Alicia hires Turner Construction to renovate a historic lighthouse in the San Francisco Bay, Mel Turner can't wait to get her hands dirty. Alicia plans to transform the island property into a welcoming inn, and while Mel has never attempted a project so ambitious-or so tall-before, she's definitely up for the challenge. But trouble soon arises when Alicia's abusive ex-husband shows up to threaten both her and Mel, and later turns up dead at the base of the lighthouse stairs. With no other suspects in sight, things start looking choppy for Alicia. 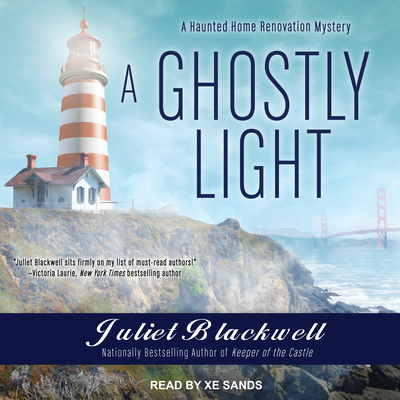 Now, if Mel wants to clear her friend's name, she'll need the help of the lighthouse's resident ghosts to shine a light on the real culprit . . .